Stranded or Appointed to Be on Third? In our past two articles we have revealed much about how to use G-d’s Name and Unconditional Love, but it also feels like we didn’t quite reveal everything. It also feels like desperation is settling into our world, and quickly overtaking us. It feels like we are facing the Kansas City Royals and left a man stranded on third. As the Mets and Toronto Blue Jays learned, one cannot go into extra innings against a powerful opponent who makes no errors. Since the opposing team is always in the right place at the right time, we only have one place to hit the ball: Out of the park! Yes, the situation is the same, only this time it is on an unprecedented scale. The stakes are the world… the time is the Final Redemption. In the last three articles, and especially in our last one, “Choose Redemption Now,” we illustrated how the Torah was designed to teach us to use the unification of the Tetragrammaton (יהוה) and Adonai (אדני) and elevate it further with the higher Name Eyheh (אהיה) from Malchut to Zeir Anpin to Keter, all in the aspect of love, unconditional love. What is that love? It is not the (hopefully) reciprocated love we have for our husbands and wives. Neither is it the love we have for our parents as mandated by the Ten Commandments. Nor is it in thanks for all that they have done for us. It is closer to the love we have for our children that no one has mandated or told us we had to do. We do everything for them with this love. We help them, protect them, enable them to succeed, educate them or just please them. This is the unconditional love we are to feel for G-d and His instruction, the Torah. That includes everyone and everything in the universe. For most of us that is a huge leap. It is “natural” and easy to feel that for our children, but it is unnatural to feel it for anyone else. That huge leap against is our nature. It is changing our world from where we are, from the inside out. It is precisely why it is demanded of us if we want to be part of the TEAM that is to figure in the upcoming final redemption. If it were easy, it would not be real. It would be just another fleeting illusion, another turn at bat against a strike-out king. However, it is not an illusion. We have been shown how the quantitative numbers and values associated with all aspects of G-d’s Name and its components are explicitly based on the number 13, the numerical value of the Hebrew word for Love (Ahava, אהבה). We had to repeat throughout our articles about the singular importance of the Torah’s statement, “Love Thy neighbor as yourself,”ֹ found in Leviticus (Vayikra) 19:18. Now it is time to bring it home — to the home plate. The phrase “Love Thy neighbor as yourself (וְאָהַבְתָּ לְרֵעֲךָ כָּמוֹךָ),” found in Leviticus (Vayikra) 19:18 has 13 letters (ואהבת‐לרעך‐כמוך). Just as there are exactly 1820 Tetragrammaton-s (יהוה) in the Torah, this phrase has the numerical gematria value of 1820 when the sofit value of the two final letter Cafs (ך) are added in. Obviously, they are connected. Even if the sages did not tell us this was the most important phrase in the Bible, we would have to take notice of its connection to G-d Name. Right? Even so, given that there are exactly 1820 Tetragrammaton-s (יהוה) in the Torah and 91 Adonai-s (אדני) in the Torah and 7 Eyheh-s (אהיה) in the Torah, the simple sum (unification) of G-d’s Names is 1820 + 91 + 7 = 1918, as in this singularly important verse, Leviticus/Vayikra 19:18. Make no mistake about it, this verse the sages have told us encapsulates the entire Bible and is the entire essence of it, verse 19:18 of the 3rd Book is meant to connect with and unite the 1918 higher Names of G-d in the Torah, and more importantly to connect us to them. The reason there is so much light and such a strong bond between us and our children is that we are emulating G-d and His love for us. If we would do that with our neighbors (and that includes our environment and everything in our universe), we would be connecting directly to G-d’s Name and His essence. Immediately we would feel the love all around and see the world through different eyes. It would be a paradigm shift. Yet, we fight it—fight making the shift—with the very core of our being. It is as if we take “being one with the light force of G-d” as being something bad. We deem it self-deceptive as if it were all due to the power of illusion. Such is the psyching-out strength of our opponent. We do not make the shift because we do NOT BELIEVE we can do so. We do NOT believe we can win. Baseball is all about the energy. This is why the same team can go on an 11 game winning streak, followed by a 10 game losing one. It is why a player in the zone, e.g. Daniel Murphy, can hit homeruns all through the playoffs against the best pitchers in the league. Then produce next to nothing positive but the costliest errors in the World Series. It was all a matter of belief or lack of. In a way, the physics of baseball, speed, distance and accuracy are truly superhuman; they are spiritual. Given the right energy, everything clicks. Off by an inch at 100 mph, a homerun is a strike, an out, or a blooper. One simply has to believe and take a leap of faith. G-d gave us many tools to help us believe, Names to use (connect with) to see miracles and technology that we can expose to convince ourselves in a higher power. These are all given to EMPOWER us. In our previous article we mentioned that there were two ways the kabbalists expressed the value of the highest of the 10 sefirot (dimensions) in the Tree-of-Life. One was 100(0) as completion of the 10 dimensions with their 10 sub-dimensions. Another was through the numerical value of Keter, the Name of that Crowning dimension of G-d, 620. The value 620 associated with Keter is also the number 20, which in Hebrew is spelled esrim (עשרים) with the numerical value 620. This concept is found in the 620 letters of the Ten (10) Commandments and the 62 letter Yud-s (י), which is 1/10th of those is 620 letters, and whose total value is 620, but whose spelled out (יוד) value is 20. This amazingly matches up with the Ten (10) Commandments being located in the 20th (!) Chapter of Exodus. The placement is perfect. 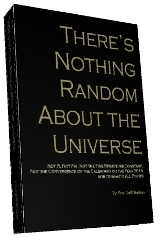 Physicists teach us that the greater universe is comprised of 10 dimensions. The kabbalists teach us that those 10 dimensions are divided into 3 types of energy known as “the Tree-of-life.” When spiritual things are set in 3s, they are a connection to the 3 columns of the Tree-of-life structure of the universe. Thus in this 3-word, 13-letter phrase (ואהבת‐לרעך‐כמוך) phrase, whose standard gematria value is 820, the 3 letter Caf-s (כ) must also be a reference to the Tree-of-life, i.e. 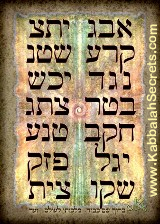 to the Keter (כתר) of each column. Each of the Caf-s (כ) has a numerical value of 20, associated with Keter, and when the letter is spelled out (כף) it has the value 820. Let us pause for a moment. The letter (כ) and its value associated with the highest dimension, that of G-d, it also has the value associated with the unconditional love of “love thy neighbor.” This cannot possibly be coincidental. Do we want to BELIEVE what the Almighty tells us, or do WE WANT to believe what our opponent is telling us? He tells us his way, that we are losers, destined to die and are incapable of change. He is trying hard to dissuade us from using our energy to win. It is all about the energy that we are TOLD to use. Have you ever met or seen a highly successful person who did not completely believe in him/her self and his/her abilities? Nevertheless and not coincidentally, the first and last letters of the short 13-letter phrase (ואהבת‐לרעך‐כמוך) are also speaking to us G-d’s way, as Caf-Vav (כו), being 26 in standard gematria, is always representative of His Name, the Tetragrammaton (יהוה). Moreover, the final two letters of the phrase are also Caf-Vav (כו). Can this possibly be coincidental, or is it a DIRECT pointer by the Almighty as to what we need to see and do? Furthermore, in gematria sofit (וכ) is 506, the numerical value of the first verse of the Ana B’koach, or the 42-Letter Name of G-d. 506 is also the numerical value of both the phrase Ahavat Chinam (Unconditional Love) and in its complete gematria form, the value of the name Moshiach Ben David (!). Even ignoring the other 79,972 words in the Torah and even the Ten commandments, all we have to do is connect with 3 little words, just 13 of the 304,805 letters of them. Yet, our world grows darker by the day and the evil spiraling outward from the Mideast grows stronger. It draws more and more to the abyss of its black hole daily, sucking the vitality of our collective consciousness at an ever-faster rate. If we set aside the 3 Cafs (כ) in the 13 letter phrase, the remaining letters total 760. It may just be coincidence. However, according to the tsaddikim the next gateway to unconditional love and Moshiach consciousness opens in the year 5778 HC, whose square root is 76.01312… By the way, the last time that gateway was open was the year 1312 BCE or 2448 HC, exactly 66.6 jubilee years ago. We could go on and on from the Divine play-book with simple meanings derived from these 13 letters. An example is the first 6 letters of “love thy neighbor phrase (ואהבת‐לרעך‐כמוך) “being equal to 444 which is the gematria of the phrase “from generation to generation,” while 444 x 13 plus the kolel for the 6 letters equals 5778, . There is also a Mem-Bet (מב), representing the Mem-Bet Shmot or 42-Letter Name, embedded in the 13 letter phrase (ואהבת‐לרעך‐כמוך). The sum of the square roots of all 3 words happens to be 72.4220 which represents not only the 72 Names of G-d and the 42-Letter Name of G-d, Both are found together in the mystical breastplate of the Cohen HaGadol, having the value (422) of the Hebrew word for 70, (שבעים) shibim. G-d’s timing is perfect. He has scheduled this game at the most auspicious time in the history of the world. 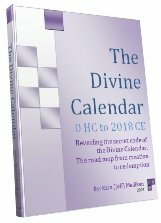 As delineated in The Divine Calendar, 5778 x .5778 or 57782 equals 3338.5, which gives us the exact year and month that the First Holy Temple was destroyed, while the number 422 gives us 422 BCE, the Hebrew calendar year 3338 HC yet again. Furthermore, the Second Temple stood for 422 years until 70 CE, which also means that from the construction of the First Temple to the destruction of the Second Temple 903 years passed. It so happens, or is it divinely designed, that 903 equals the sum of all the integers through 42, just like the 90,100 Yud-s (י), Heih-s( ה) and Vav-s (ו) equal all the integers through 424. Elegantly neat… and PERFECT. G-d is making it easy for us to believe. His fingerprints are on the design for the mathematical substructure of His Word. Once we do believe, the rest will come, for THEN we will be empowered. The Rav spent countless hours trying to convince us that all we needed was “certainty.” That is just another name for BELIEF. That means taking G-d at His word. The connection to the 42-Letter Name always goes to the heart of the Torah’s design and function. Consider the 90,100 Yud-s (י), Heih-s (ה) and Vav-s (ו) from which the 1820 Tetragrammaton-s (יהוה) come from and whose total 90,100 is equivalent to all the integers from 1 to 424, the numerical value of Moshaich Ben David (!). 90,100 is the sum of 3002 and 102 which is the numerical equivalent of 90,100 = ( ש)Shin2 + (י)Yud2 . Atbash is one of the simplest gematria ciphers, whereby the Hebrew alphabet is reversed and Alef is switched to Tav and Shin to Bet and so on. It is quite often superbly revelatory. In this case, 90,100 = ( ש)Shin2 + (י)Yud2 = or (מ)Mem2 and (ב)Bet2 . We now have shown some of G-d’s technology behind the phrase to “Love Thy neighbor” and how G-d’s Name is not only written into the phrase numerous times, but also is throughout the entire Torah in a way that our soul can tune into. It is written and placed in a way that illustrate to us how to connect ever higher to G-d’s Name and to the MOSHIACH CONSCIOUSNESS. This is necessary for the upcoming opportunity to play an integral part in the final Redemption. We have also seen how the timing of the final Redemption has been hard-wired by the Almighty into the Torah’s technology and the history of our civilization. Furthermore, we have seen that G-d’s message to us has been always crystal clear, though not necessarily understood in prior ages as it is to be understood at this age. Now, at the end of this age it is revealed to US, TO THIS GENERATION in no uncertain ways for a singular vital reason. NOW the Almighty reveals to US, this FATEFUL generation, the very tools to connect to the Light. In His “playbook,” the Bible, He gives us His Names and tells us HOW to use them to reach the necessary winning mindset, the consciousness of unconditional love. This is all Divinely designed in order for us to become integral parts of the redemptive process. This has been laid down from ancient times, since He has chosen a nation to be His special TEAM, a “peculiar treasure” to do this service. Now, it is up to us. Do we dash the last 90 feet to home plate? Or do we wait on third, hoping someone else will hit us home, as we face the toughest opponent in history. He is out to psych us out. We are a TEAM, we are in it TOGETHER. This is our very purpose. That means we all have to be fired up with wanting to win. We have to want it bad enough to forego our selfish desires and embrace unconditional love, connect to G-d’s Names and embrace G-d with our obedience to His Contract /Covenant with all strength, might and soul. Like Daniel Murphy, we are all “free agents” in this game. We can choose on which team we want to be. Players do not lose games, teams do, and this World’s Series is not over yet. We are in the last inning. Every player has been Divinely chosen, i.e. “appointed” to be on this team and “be a blessing.” We can pool, share and work with our energy and not against our energy. The Almighty has given us that energy to use… for good or bad. It is our choice. The key is to BELIEVE what the Almighty, the Owner, Creator and Coach of the team tells us to use. Collectively we can make that leap of faith by taking Him at His Word, and not doing it “our way.” By the way, there is only one game on this planet. That is the game between good and evil. We are coming up to the final game. Think about what is going on all over America today and look at the date Jackie Robinson (42) opened up baseball, America’s pass-time, the year before Israel became a nation and the 70 year final countdown. The gates were opening and change was happening. Those gates are closing and things are changing again. The Rav, like all the kabbalists before him had 3 basic messages for us that he repeated over and over again: “Have Certainty, Let Go, and Connect to Unconditional Love.” That has been G-d’s message to us all along. It is still the same eternal message. It is time to get out of the dug-out and onto the field. May we all be thankful for what we have, for what G-d has given us, and for the opportunity He is giving us. May that thanks be converted to action and unconditional love. grateful for the nice article! Thank you, I have a question: What Rav are talking about? I’m with you all the way home, thankful for this beautiful article and you! In this case, it was Rav Berg, of blessed memory. Thank you for the amazing interpretation. Next Next post: Chanukah: Follow the Tzaddik; Ignite the Light!